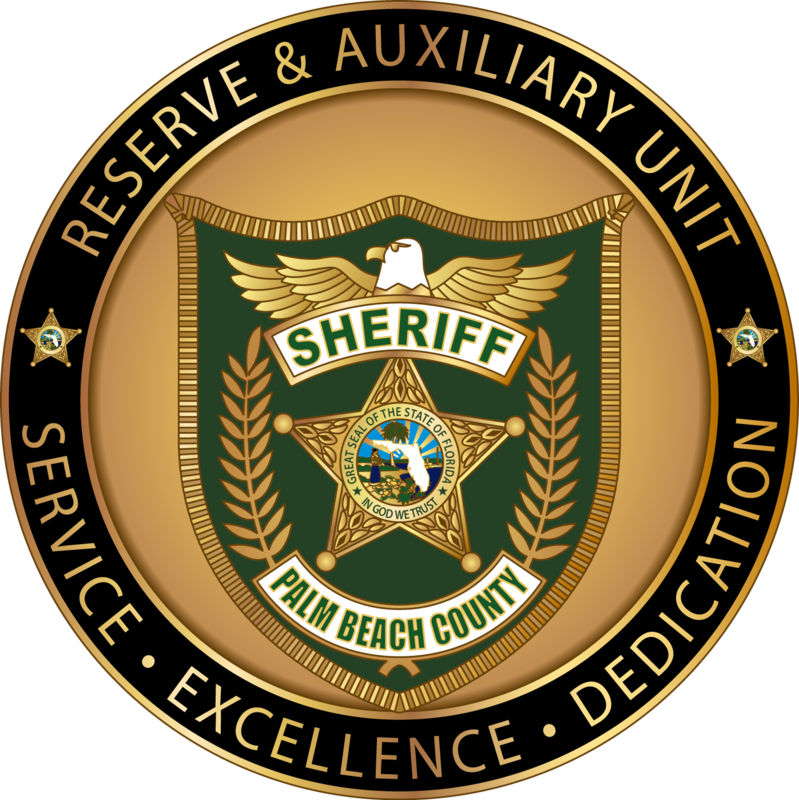 The Reserve & Auxiliary Unit is comprised of men and women from our community who hold a law enforcement officer or auxiliary law enforcement Florida Criminal Justice Standards and Training Commission certification. These dedicated sworn volunteers take an active role in addressing quality of life issues that face our communities within Palm Beach County. Reserve Deputy Sheriffs are commissioned, sworn volunteer law enforcement officers who hold a Florida Criminal Justice Standards and Training Commission certification. Reserve Deputies have the same police academy training requirements and qualifications as full-time deputies along with the same application requirements, and continued training mandates. Auxiliary Deputies are sworn volunteers who hold an auxiliary law enforcement Florida Criminal Justice Standards and Training Commission certification. Although Auxiliary Deputies have the same application process as full-time and reserve deputies, the auxiliary academy itself is just under 40% of the total full time law enforcement academy. Auxiliary Deputies have the authority to arrest and perform law enforcement functions ONLY while under the direct supervision, accountability, and control of a full-time or Reserve Deputy Sheriff. Must meet all Florida Department of Law Enforcement (FDLE) requirements. Must meet all PBSO requirements specified in the online assessment. Able to perform the essential functions of the job for which applying with or without reasonable accommodation. Internal Candidates – Achieved satisfactory evaluations and favorably completed at least one year of employment unless position is designated by the Palm Beach County Sheriff’s Office as a critical need position at the time of application. Possess a valid Driver’s License or the ability to obtain one. Must present proof of automobile insurance upon offer of employment, free from “at fault” accidents or convictions for violation(s) of traffic law to include adjudication withheld for the past twelve (12) months. A good driving record will include no Driver’s License suspensions in the past three (3) years. High Liability Training (Guns & Sticks) for 12 weeks, this schedule is flexible, but will be day shift only. Field Training (FTO) for 13 weeks. This training schedule is flexible and will consist of day and night shifts. Generally, Reserve and Auxiliary Deputies are required to serve 16 hours per month (4-hrs credit for attending a bi-monthly meeting). Flexible scheduling of hours is permissible to accommodate monthly requirements. The equivalency of Training (EOT) process is for Out of State Federal Officers and previously certified Florida Officers with a four year or more break-in-service pursuant to section 943.131(2), Florida Administrative Code (F.A.C.) 11B-35.009(4)(5). You were previously certified in the State of Florida. For more information on Reserve Deputy or Auxiliary Deputy opportunities, call to make an appointment at 561-688-3796 or email us at RESERVE@pbso.org. You can become part of the solution by keeping our neighborhoods safe!